We believe in the best. 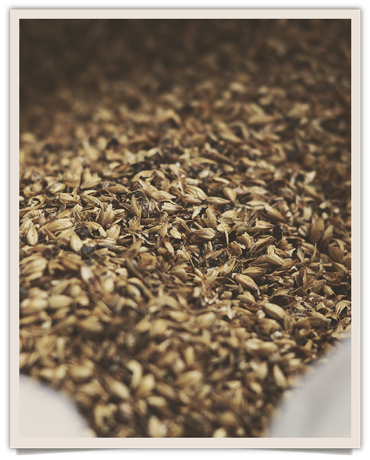 The best hops, the best malt and barley sugars, and the best methods of brewing. That’s what makes the best beer. Brewing in the heart of the Devonshire countryside since 2008 Hunter’s is a family run brewery dedicated to producing the finest quality ales. Using only the best locally-sourced ingredients we’re committed to crafting real ales that pack more flavour than your average pint. We do this by bottle conditioning our bottled real ales, trapping the flavour that is missing from most mass-produced beers. 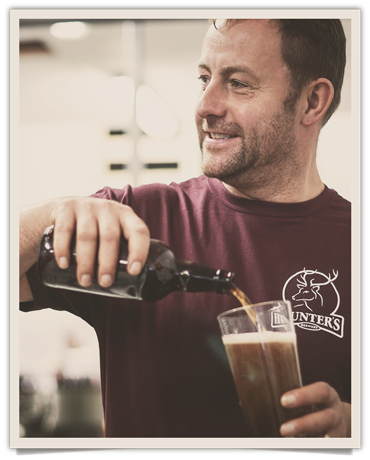 Hunter’s was founded by Paul, with the aim of producing high quality ales with flavours that reflected the best Devon has to offer the craft beer industry. After finding premises on a local farm Hunter’s was born and Paul set about creating the core range of beers that many drinkers enjoy throughout Devon and the UK. We produce a wide range of uniquely tasty cask and bottled ales, using traditional methods and locally-sourced ingredients to brew some of the region’s best beers. Hunter’s is leading the charge on the resurgence of bottle conditioning, adding the kind of craftsmanship and flavour to our brand that is hard to find in today’s market. Situated at Bulleigh Barton Farm in Ipplepen, nestled in the rolling green hills of Teignbridge, we’re proud to be producing the UK’s finest bottle-conditioned ales in the UK’s finest county. 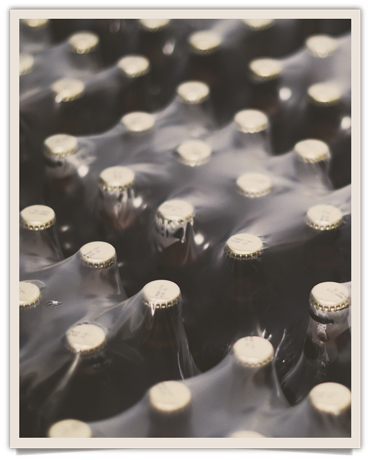 Here at Hunter’s Brewery we’re proud that we bottle condition our beers, keeping past brewing traditions alive. In years gone by most beers were made this way but modern mass-production methods quickly became the norm. Bottle conditioning is about more than nostalgia though – it adds a level of quality to our products that you only get with premium craft beers. We direct deliver throughout Devon every week and while we do enjoy the odd trip further afield we’ll always stay a local brewery in the South West. We’ll also only ever use the finest local ingredients to maintain a consistently high standard and an authentic Devonshire flavour. 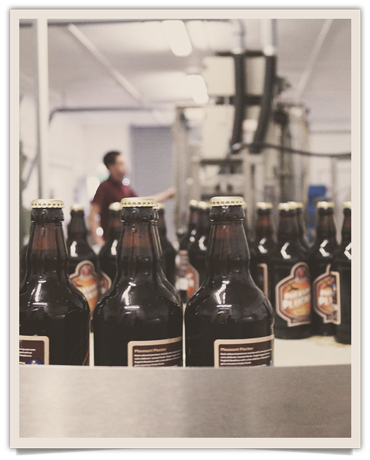 Here at Hunter’s Brewery we’re proud that we bottle condition our beers, keeping past brewing traditions alive. 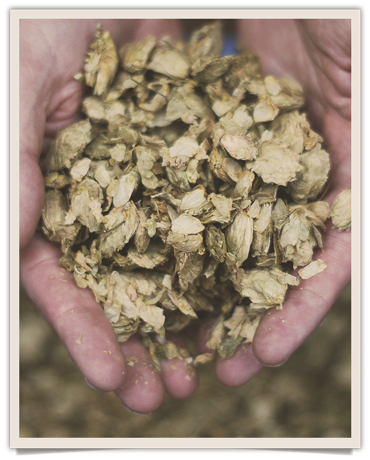 Using a range of the finest hops, and the best malt and barley sugars that Devon has to offer, every cask and bottle we produce is made to the highest standard possible. Bottled conditioning keeps past brewing traditions, and the beer, alive. At Hunter’s we believe in leaving the yeast in the beer to naturally carbonate it. With 25 pubs from Exeter down to Plymouth that permanently stock our beers or have them on guest rotation we’re happy to deliver throughout Devon.